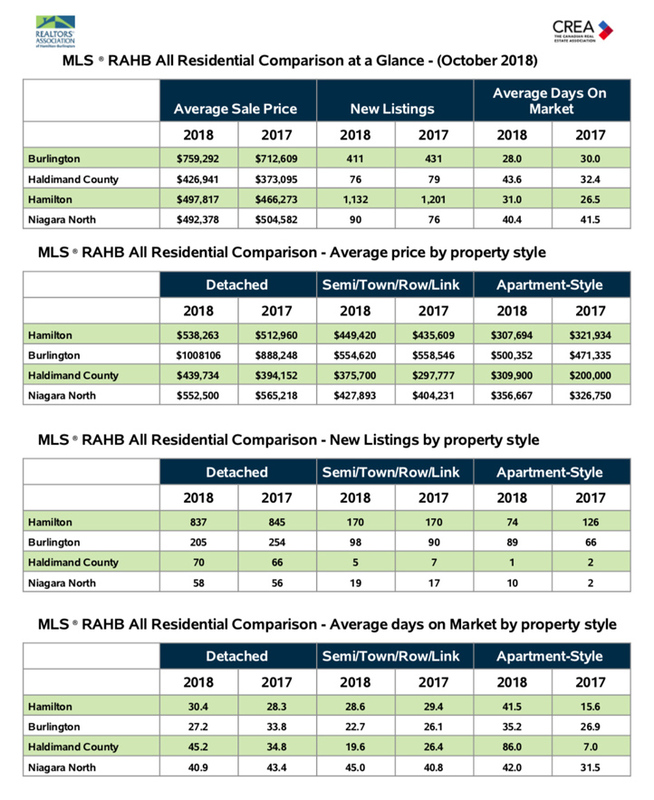 The chart above, Residential Market Activity for RAHB Areas, shows how much the average price has changed and how much each area has changed since last year at this time. The hot areas for October remain the same, Hamilton Centre and the Hamilton Mountain. 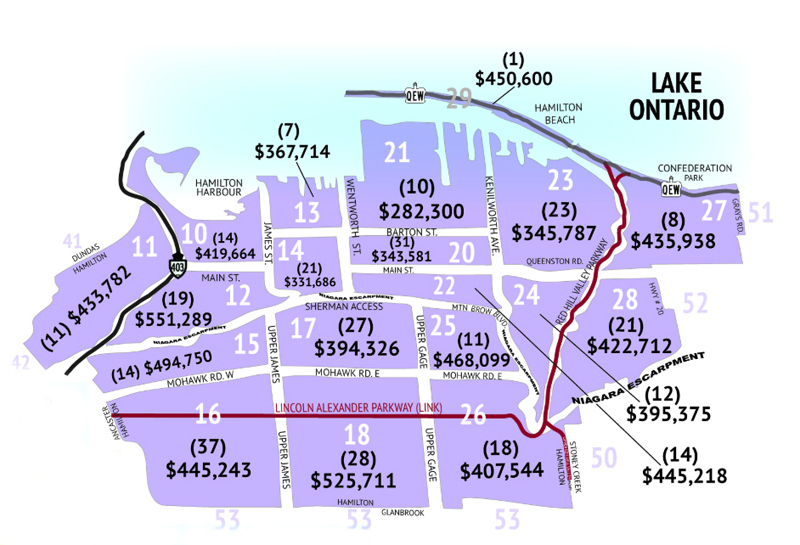 The Average Residential Price by District graph indicates to us that the areas from Hamilton Bay to the escarpment are doing well (sub areas, 16, 18, 28 & 28). You're also able to see the average cost of a home for the month of October in each area. By taking a look at the All Residential Comparison at a Glance chart. We see that major areas within RAHB’s market are isolated, Hamilton, Burlington Haldimand County. They all saw an increase in overall average sale price. However, Niagara North experienced a decrease in overall average price. It's also important to note that there was an increase in average sale price for all property styles in each of the four RAHB market areas. RAHB reported 1,035 sales of residential properties and a 13.1% decrease over the same month last year, the average sale price increased by 5.9%. The Sales to New Listing Ratio was 60.1% - indicating that the overall residential market for the RAHB area is in a balanced position. 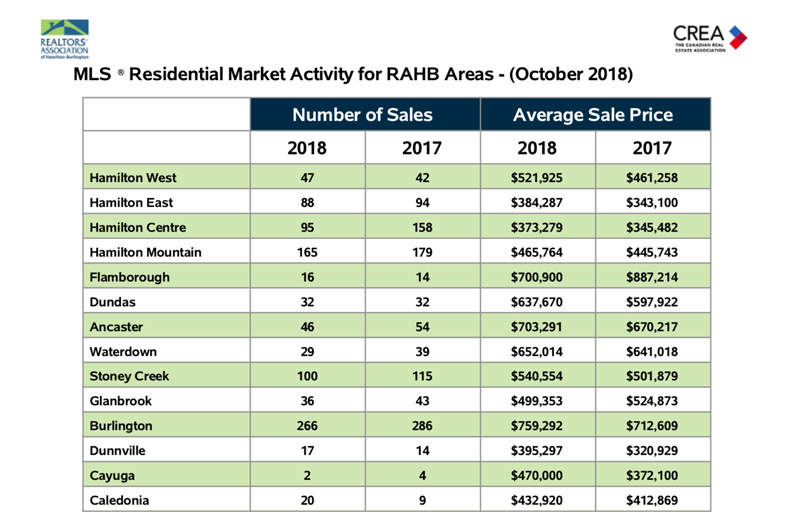 For more in-depth statistics and additional metrics, please refer to RAHB's Residential Market and MLS Home Price Index Report for October 2018. If you're thinking of selling your home and want to get a better idea of what it will cost, you can use our "What's My Home Worth" calculator. Then you'll want to get in contact with one of our agents. They will be happy to go over the market stats with you and discuss possible next steps.